How many stars one can see with the naked eye? the catalog lists all stars of stellar magnitude 6.5 Notes 1 or brighter, which is roughly every star visible to the naked eye from Earth. The catalog contains 9,110 objects, of which 9,095 are stars, 11 are novae or supernovae, and 4 are non-stellar objects. The non-stellar objects in the catalog are the globular clusters 47 Tucanae (designated HR 95) and NGC 2808 (HR 3671), and the open clusters NGC 2281 (HR 2496) and Messier 67 (HR 3515). The first edition of the Bright Star Catalogue was published back in 1930 by the American astronomer Frank Schlesinger (May 11, 1871 – July 10, 1943). The second edition is published in 1940 by Frank Schlesinger and the American astronomer Louise Freeland Jenkins (July 5, 1888 – May 9, 1970, she also edited the 3rd edition in 1964). Then, the American senior research astronomer at Yale University, Ellen Dorrit Hoffleit (March 12, 1907 – April 9, 2007) took over the job. She published the 3rd (1964), 4th (1982, with the German-born Argentine astrophysicist Carlos Jaschek – March 2, 1926 – April 12, 1999) and 5th (1991, also with C. Jaschek) editions of the catalog. The Milky Way contains between 100-400 billion stars. But, how many of them one can see with the naked eye in the Earth’s sky? First of all, we can only see half of the celestial sphere. So we should divide that number by two. This gives us roughly the number of 4,548. So, theoretically, if there is no light pollution around us where we look up at the sky, we should see around 4,500 stars in a dark, moonless night. If our eyes are in healthy conditions, of course. But the real number would stay a bit less than that. Because, some of them would be lost in the haze all around your horizon. So, a young to middle-aged person with normal vision (as you get older, your eyes become much less sensitive to faint light) should see around 4,000 stars in the sky. But, the astronomers don’t agree on the subject. Some experts say the number given by the Bright Stars Catalogue is unrealistically high, and there are around 5,000 stars in the sky visible to a naked eye. Since you can see only half of them from one side the Earth, the number should be around 2,500. 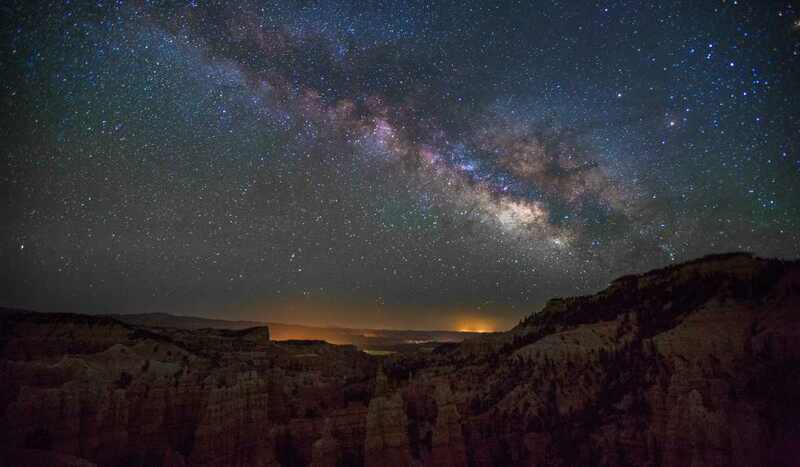 So, we can say that between 2,500-4,000 stars one can see with the naked eye – in a clear and moonless night and far from the light-polluted areas, of course. Astronomers use the stellar magnitude scale or the apparent magnitude (m) to measure star and planet brightness. It is logarithmic, each magnitude is about 2.5 times brighter than the one below it (5√100, or about 2.512). The brighter an object appears, the lower its magnitude value (i.e. inverse relation), with the brightest astronomical objects having negative apparent magnitudes: for example, Sirius, the brightest star in the Earth’s sky, at -1.46. “The Stars, Like Dust” is a 1951 science fiction mystery book by the American writer Isaac Asimov. It is part of Asimov’s Galactic Empire series and takes place long before the actual founding of the Galactic Empire. Before even Trantor becomes important.